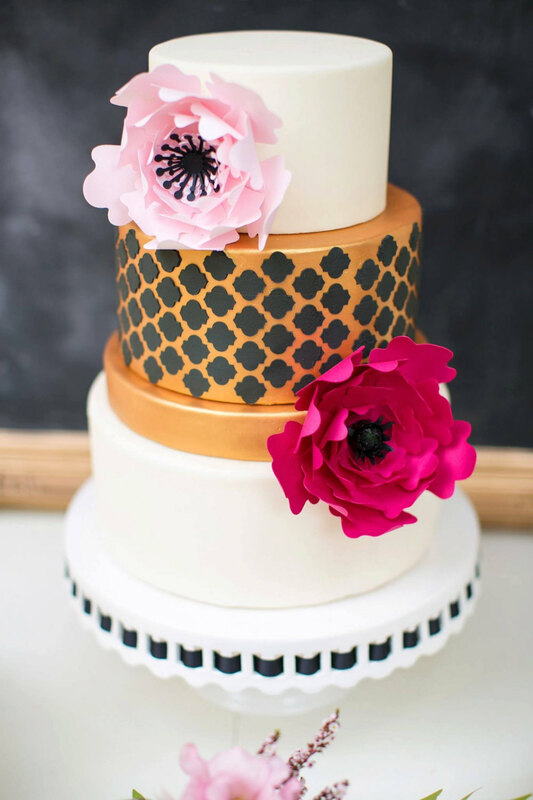 Wondering where to buy a cake flower topper or flowers to adorn the tiers of your cake? You’ve come to the right place! We love a classic cake topper, but it’s not for everyone. And if you’re looking to do something different for your wedding cake, a cake flower topper might be just what you need. A cake flower topper is also a great way to show off a very intricate cake, as it won’t take away from the fondant and design that a cake topper might. The attention is placed on the detail of your cake and the beautiful flower accents sitting on its tiers. 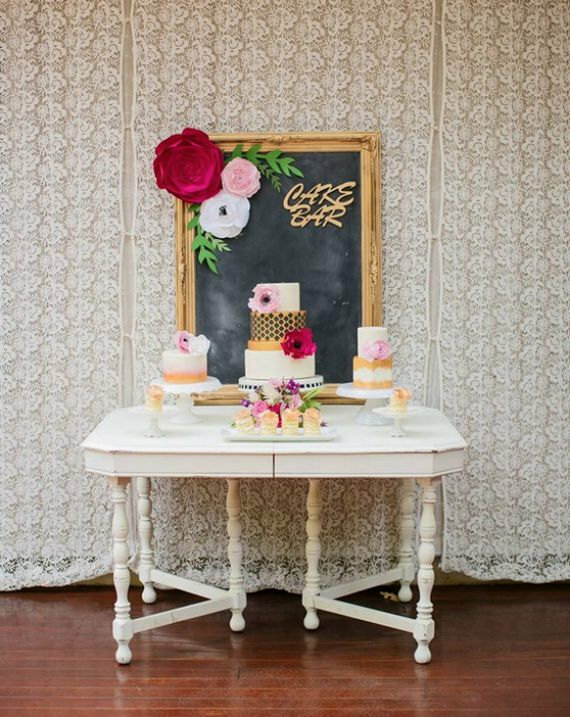 While we were busy swooning over the latest flower wall backdrops over at PaperFlora, we stumbled upon Natalie’s beautiful cake flower toppers. These flowers are made of paper, intricately folded and designed to look magnificent on your wedding cake. Each flower is handmade in your choice of wedding colors, so it will complement your wedding cake (or bridal shower cake) beautifully. Since these are made of paper (and not sugar), you can remove the cake toppers after the wedding and save them for future use. Take a look! Ready to buy a cake flower topper of your own? Visit PaperFlora on Etsy to find out more. Natalie is the sweetest to work with. She has been making paper flowers for many years and you can tell how much passion she puts into each creation. She’s fun to work with — reach out to her here to see what she can design for your big day! PaperFlora is a Featured Artist in The Marketplace at Emmaline Bride. P.S. To see other handmade-a-day picks, browse our archives.